Yesterday morning I was finally able to meet up with 2 of my 3 girls. We haven't been able to run together work for months. I've missed these times. 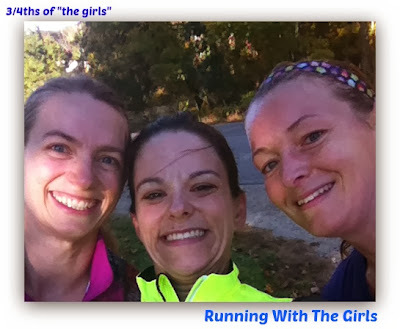 The miles flew by with great friends and catching up on the happenings going on in our lives. We were sad that Jill wasn't able to make it. Soon we will all be back together! While this morning was a fantastic run with great friends, I also ran it as part of the Jost Running's Soaring 10k. 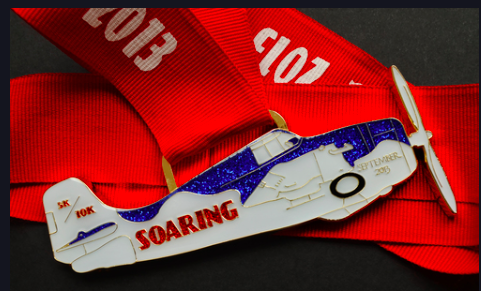 I am excited to receive my new medal from Jost Virtual Racing. Isn't it awesome? The thing about Jost Running is that you are donating for a great cause, earning a fabulous medal and "competing" with runners world-wide. Check out the results here! I even came in 1st place for the August Home Run 10k series! Pretty awesome! 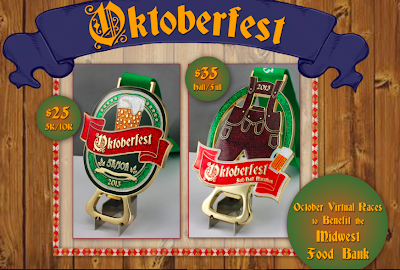 Next Month, Jost Running's theme is Oktoberfest and the medals double up as bottle openers. That's a lot of fun!! I've never received a medal that I could actually use. The beneficiary is also the Midwest Food Bank. You can even check out the Oktoberfest facebook event. Do you run with friends? How about virtual races? I am loving them for many reasons: I can "race" whenever I want, with whomever I want, I have a range of days to "race", and I get a fun and awesome medal! Disclaimer: I've partnered with Jost Running and have received my medals in exchange for reviews. As always, all opinions are 100% my own. I don't tend to do many virtual races, I am bad about remembering I signed up to do them. Those are some great medals for October though and great job coming in first for the August series! I want to do more virtual races! I created one last year as a fundraiser for the Leukemia and Lymphoma Society and it was fun to get a group of us together. For some of us it was a milestone run!